VietNamNet Bridge - Foreign investors have registered to pour tens of billion of dollars into the real estate market, but many projects are still on paper. The licensing of the VFC (Vietnam Financial Center) project in HCMC in February 2008 stirred excitement among Vietnamese. It was designed to have three 48-storey buildings to be used as offices, a shopping mall and a 5-star hotel. The super-project has not started. In 2014, Berjaya Group from Malaysia asked for permission to halve the investment scale of the project because of problems following administrative procedures. Another project, the Urban Area and International School one, also registered by the Malaysian group, had the same fate. The land area in Hoc Mon district of HCMC, where Berjaya planned to develop the project, remains bare. A source said Phu Long Group has acquired 50 percent of shares from the South Korean partner and officially taken over the project. Foreign investors have registered to pour tens of billion of dollars into the real estate market, but many projects are still on paper. Le Ngoc Quynh, director of Thinh Vuong Investment & Cooperation, commented that many foreign investors eye real estate projects in Vietnam. If they cannot arrange sufficient capital for the projects, they will ask for local authorities’ nod on reducing the projects’ scale and delaying project implementation. Quynh commented that this is just an excuse that helps the investors retain the right to use large area of land in advantageous positions, and sell projects to other investors for profit. According to the Foreign Investment Agency, by July 2018, there were 704 projects registered, and committed FDI capital into the real estate sector had reached $56.3 billion. These include some well-known names such as the Smart City project in Dong Anh district of Hanoi, capitalized at $4.138 billion and developed by Sumitomo Corporation, and the $600 million Lotte Mall Hanoi. Phan Huu Thang, an expert on FDI, warned that with the current licensing, more real estate projects will fall into foreign hands. 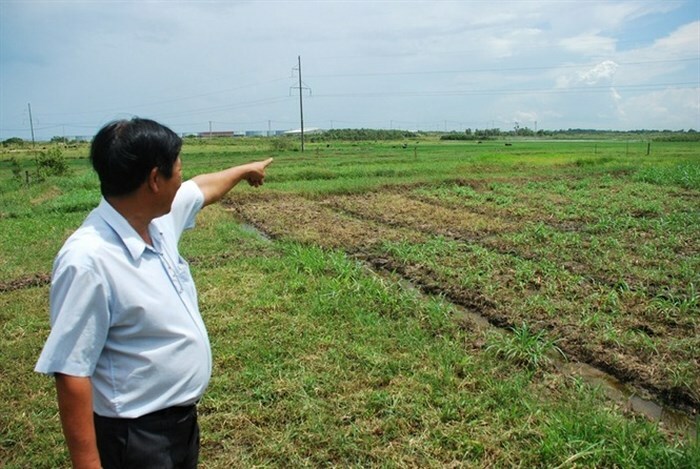 Meanwhile, some analysts predicted that many Vietnamese developers, because of the lack of capital, may bargain away their projects in the third and fourth quarters to foreign institutions and funds which are looking for land plots in advantageous positions. Nguyen Mai, chair of the Vietnam Association of Foreign Invested Enterprises (VAFIEs), thinks that local authorities need to be more determined in revoking licenses from the investors who are slow in implementing their registered projects, rather than accept investors’ new claims.